The Abrams Impact 6 LED hide away is the first of its kind. With a newly designed driver built within the unit, the resulting emergency vehicle strobe warning light is brighter and more compact than its predecessor. This versatile LED hideaway unit can be used for surface mounting or internal mount within composite head light, tail light, and various other light assemblies. Available in solid and split colors with 34 pattern combinations, the Impact 6 is the perfect strobe warning light for all application where being seen is an absolute must. Interchangeable/Compatible with: All automobiles and devices equipped with a 10 to 30 Volt DC power source. Each unit consists of 6, 3W 5th Generation high intensity LEDs. First of its kind with driver built within the unit as opposed to being in-line. 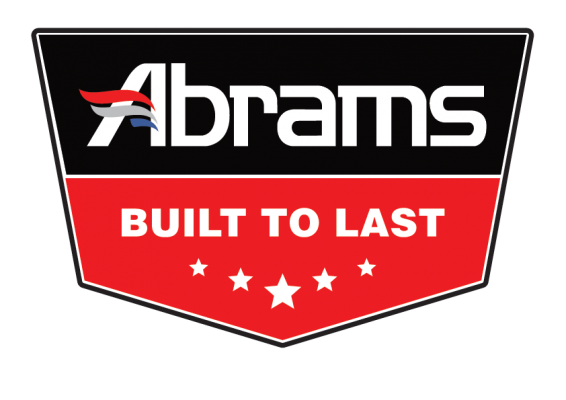 Synchronization between multiple units and with other Abrams products such as Grill Lights & Beacon. Easily replaces traditional hideaway strobe with existing 1″ hole. Versatile application with surface mounting design and internal mounting within light assemblies. Weatherproof ready for exterior mounting (not submersible). Black flange included for surface mounting. 5 Year Hassle-Free Warranty – Lifetime Customer Support!